Remember the good o’ days of 45 rpm records? The best or future “hit” song was considered the A-side and something else was “thrown” on the flip side. Well, every once in a while, that B-side became the hit and was more memorable than the A-side. 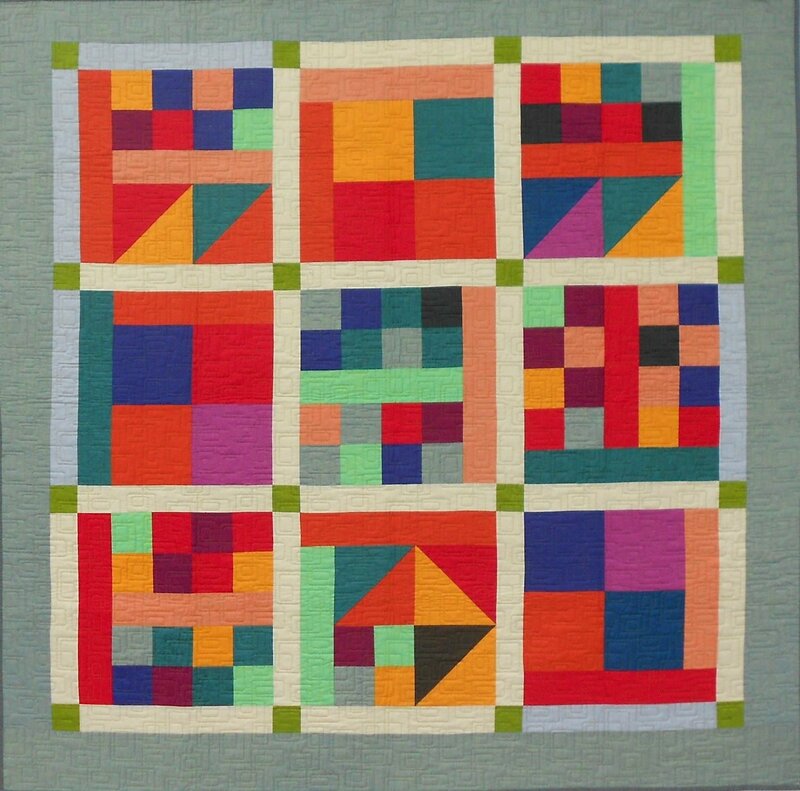 This is Modern Sampler, my B-side to a modern quilt. It was such a hit that it just about out shined the A-side. Every once in a while… things happen even in quilting. Special Tool: Angle Trim Tool or 6-1/2" triangle. International customers will pay actual USPS international shipping rates. International orders will be verified prior to shipping. Customer must confirm acknowledgement that postage for international shipping will be added to their credit card at the time of shipping.